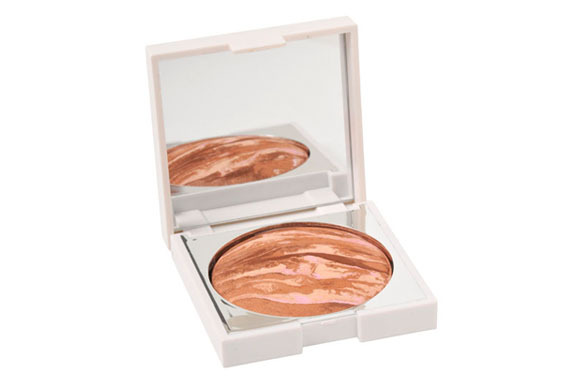 I’d never heard of New <id Cosmetics before but when I began using their i-bronze compact in the colour Rio, I was pretty ecstatic. It comes in a sturdy but pretty compact with a big mirror which is a bonus for someone who constantly drops stuff. As with a few other bronzers I’ve tried, it’s a shimmery formulation but doesn’t come out glittery on the face, rather it gives you a healthy glow. Like I previously mentioned, I’m practically albino and there are a few dark colours in the swirls of baked minerals but they’re balanced with some soft pink and white. I use a stippling brush to apply it, and dab it on my face where the sun would naturally hit - forehead, cheeks, chin and across the bridge of the nose. It really is a beautiful, natural colour and I can’t fault it.